Whip up delicious dinners and delectable desserts in this oven, which features convection technology for consistent heating that speeds cooking times. The self-cleaning mode does the hard work for you, and a hidden bake element helps enable thorough automated cleaning. 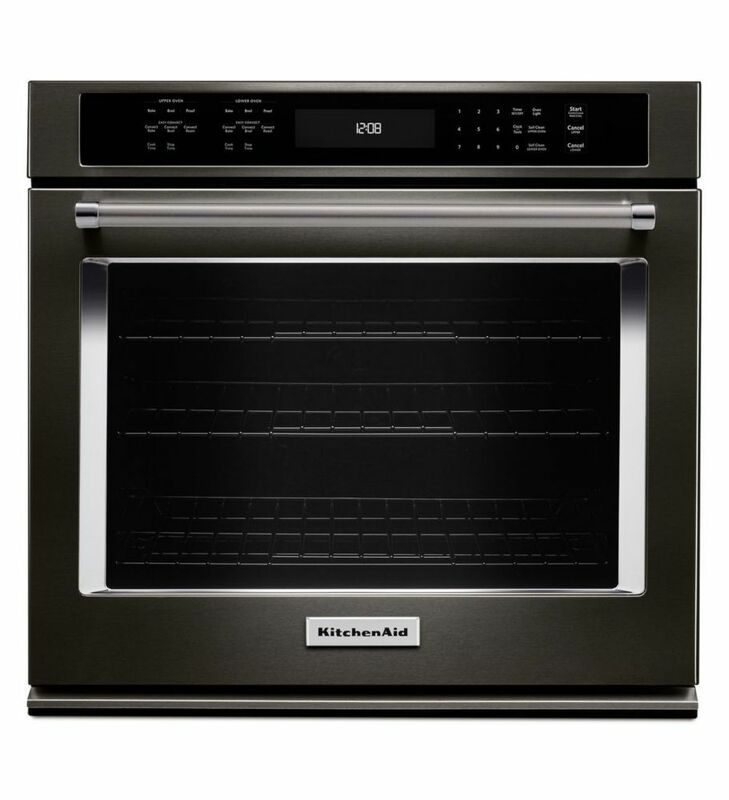 27-inch Single Wall Oven with Even-Heat True Convection in Black Stainless Steel is rated 4.6 out of 5 by 161. Rated 5 out of 5 by James from The oven heats up fast and is temperature accurate. It... The oven heats up fast and is temperature accurate. It was easy to operate and the oven probe made roasting a turkey hassle free. The interior lights are super bright and the large glass door made it easy to keep an eye on what you’re baking. I love it! Rated 3 out of 5 by Anniemh1 from The kitchen aid is significantly more expensive than the GE... The kitchen aid is significantly more expensive than the GE for comparable features. It seems solidly made and the racks are good. However it make a whistling noise when the convection is on. Since our kitchen and family rooms are together, this is a significant drawback. Really not acceptable.